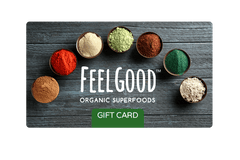 Interested in becoming a Feel Good Organic Superfoods™ retailer? We would love to have you on board as a retail partner! Please contact us for more information.